HLL strives for excellence and innovation. HLL's R&D centre has several projects in hand, carried out in-house or on collaborative mode, with premier academic and research institutions in the country and abroad. These projects cover a wide area of research ranging from development of novel techniques for drug delivery to blood filters, novel contraceptives and cancer-care devices. 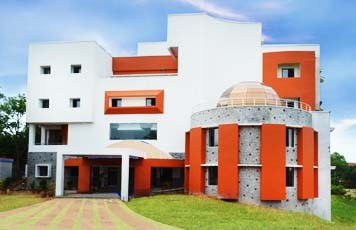 Some of the institutions HLL has networked with are-Indian Institute of Technology (IIT), Kanpur; Central Drug Research Institute (CDRI), Lucknow; Sree Chitra Thirunal Institute of Medical Sciences & Technology (SCTIMST), Thiruvananthapuram; Regional Cancer Centre (RCC), Thiruvananthapuram, and Population Council, USA. HLL has set up a Technology Business Incubation centre (TBlC) at Rajiv Gandhi centre for Biotechnology (RGCB), Thiruvananthapuram. The goal of the TBlC is to develop novel, fast and easy-to-use diagnostic methodologies for various infectious diseases. As part of this collaboration, HLL has developed a duplex kit for viral infections. This project would be extended to development of newer and less expensive diagnostic kits. Based on its technological competency, the R&D centre is implementing sponsored projects from organisations including Department of Science and Technology (DST), Defense Research Development Organisation (DRDO), Department of Biotechnology (DBT), Council of Scientific Industrial Research (CSlR) and international agencies like Bill& Melinda Gates Foundation.